I am interested in routines. I am constantly in search of a good one, of the right one, of the one that’s going to fit and be productive and centering and lovely, forever and ever, amen. That may be because my schedule is a completely different animal every four-five months, according to when my classes are. It could be that I haven’t found a pattern I love enough to fight for. That’s probably getting ahead of myself, actually. Let’s call it “attempted running.” Or “hike/dash/pant.” I like the last one. It’s the most true. 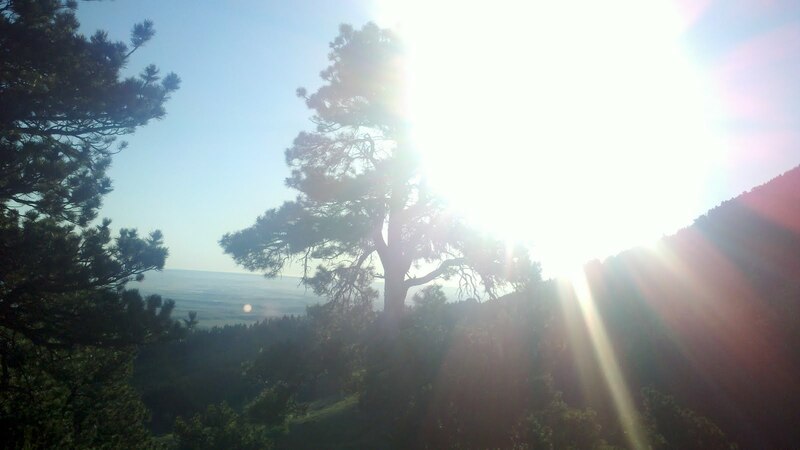 We have a 4.5-mile loop that begins in the local Rotary Park and meanders up and down the midsection of Casper Mountain, a trail known as the Bridle Trail. 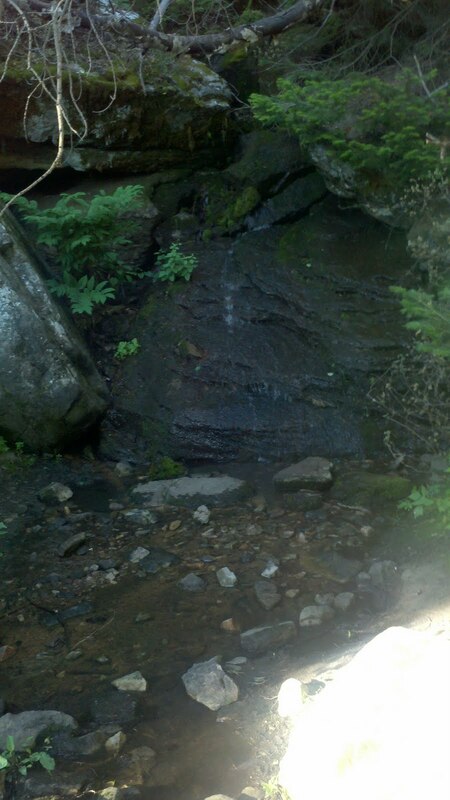 It also crosses the top of Garden Creek Falls (and involves two in-trail crossings of Garden Creek). This is not a post about the act. This is a post about what greets me nearly every morning. 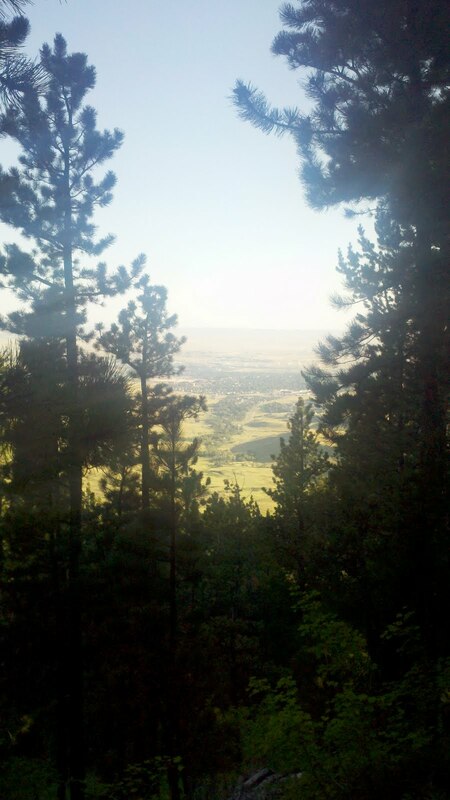 Natrona County through the trees. If it were a bit less humid that morning, you could see to the Big Horns. This wee streamlet is Garden Creek. A bit further down, and it’s a respectable waterfall in this wet summer. The first two pictures here are on the ascent of our path. The trees around the creek are thick, the air dense and cool. It reminds me of Pennsylvania in all of the best ways (and without the mosquitoes and woods’ flies). The landscape is dominated by pines and aspens, though some birch and maple still make their way there. 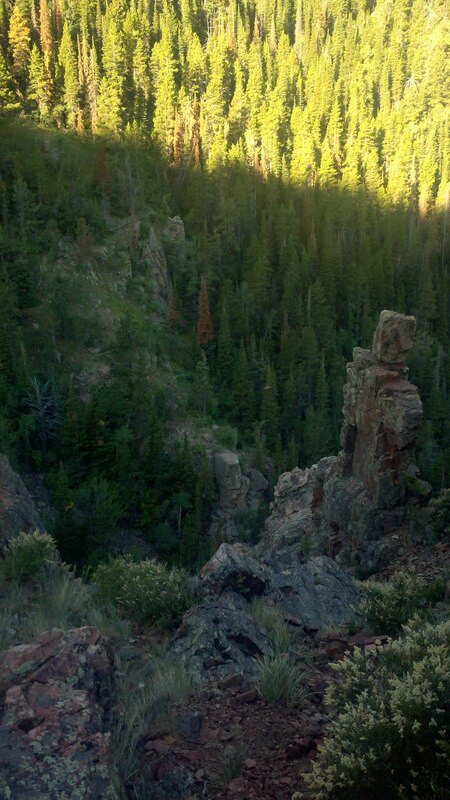 The next images are the descent, and this is where it feels like Wyoming, the way I understand Wyoming. On this side, the bones of the earth are bared and raw, the rock red and white and vast. 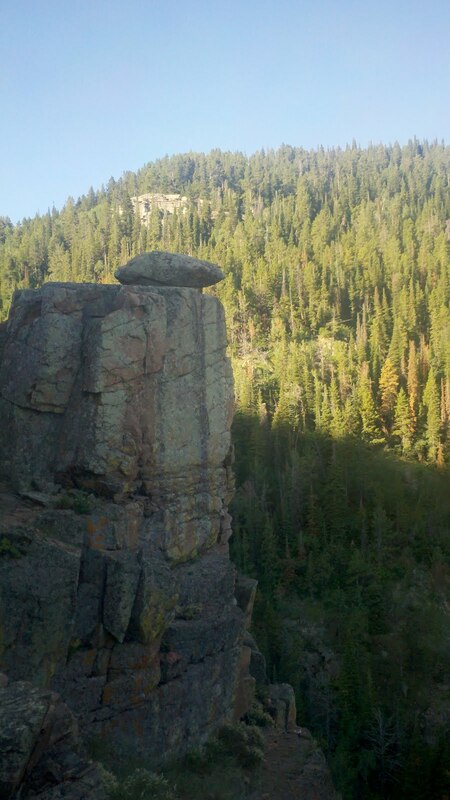 I want to stand up there, with the lonely loose rock. In this one, you can see the stark difference between sun and shade. My whole life on the East Coast, I didn’t feel like it made much of a difference, courtesy of humidity and haze. Here, the sunlight is a palette knife’s edge, cutting and turning the color over. Every morning for me now is a melange of work and rest, sweat and chill, pine-needle cushion and granite. These have been the best mornings for me that I can remember. Lens flare for J. J. Abrams and the sun demanding notice at 6:30 a.m.
Just grand. But the humidity surprises me.